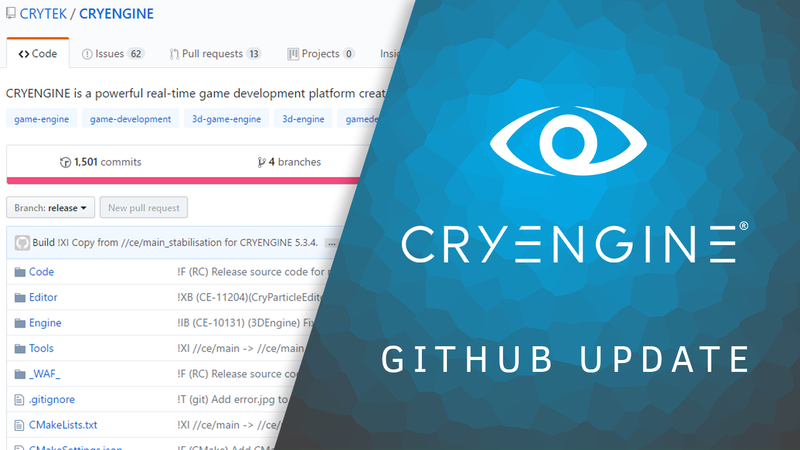 As many of you know, the CRYENGINE GitHub has been subject to issues that were out of our control, lately and it has been a while since we could push a new update. As we managed to get around most of the problems now, we are giving you a nice sneak peek of what's coming in 5.4 with today's push. We encountered an issue with GitFusion whereby it would hang when updating our repositories. Development continued unchanged via Perforce, but we were unable to mirror these changes to GitFusion, and therefore unable to keep GitHub updated. Perforce are investigating and have provided us with a temporary workaround that has enabled us to once again mirror development to GitHub. Unfortunately we will not be able to have such rapid updates as originally planned (we were aiming for weekly), but the granularity of the changes within each update will remain the same. Following on from the renderer refactoring and DirectX 12 implementation, the team has been hard at work implementing a Vulkan renderer. The code can be seen in Code/RenderDll/XRenderD3D9/Vulkan/… although the feature is not functional, yet. We want to make these changes available to you for review whilst we are currently stabilizing the engine for our 5.4 release. So you can track our progress on GitHub until 5.4 is finally here by the end of July. CRYENGINE 5.4.0 expands upon the new entity component system introduced in 5.3, exposing a large amount of new standard components such as the Character Controller Component for FPS style physics and animation. These new components are available to C++ and Schematyc (with C# to come in a future update) in order to speed up iteration time of projects. In addition, any components authored in C++ and C# will be automatically exposed to Schematyc. Additionally, Schematyc has been integrated with the Asset Browser, in addition to adding support for extending Schematyc entities using the new inheritance system. We know you have been waiting for this for a long time and we are happy to finally confirm: Whilst not yet visible on GitHub, the release of 5.4 will come with the source code to our Sandbox editor. All roadblocks have been cleared and we can confirm that when 5.4 goes live, there will be nothing hidden and no limits to what you can do. We will keep you up to date on when you can see these changes on GitHub as it's not-quite-there-yet™ - but expect more updates around that in the near future even before official release. Thank you for your patience and ongoing support, guys. Any questions, comments or concerns, please let us now on Facebook, Twitter or right here on the forum. And don't forget, if you want to contribute to CRYENGINE development, you can do so here. Yay awesome. Cant wait for end of july. entity links should be deleted as entity component can have entity array property. can entity component have entity array property or serialized struct or class property? drag and drop entity component or entity to entity component or entity property of entity? what about entity slot ? will be deleted? Just hoping that the entity system makes better editing of weapon values. Since you brought it up, how about an update on the Indie Dev Fund? speaking of dev-fund when does it start? 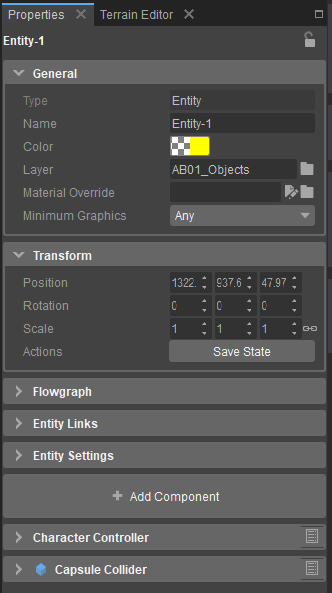 Is there an Update for export. Because in 5.3 I'm not able to export my game as Exe so that I could share it with my friends. Could anyone help? This is possible in 5.3 already. You can follow Uniflare's tutorial. The part you're looking for is chapter 4. "Distributing/Sharing your project". You cant export to EXE directly from the Sandbox Editor. You need to follow the tutorial above.